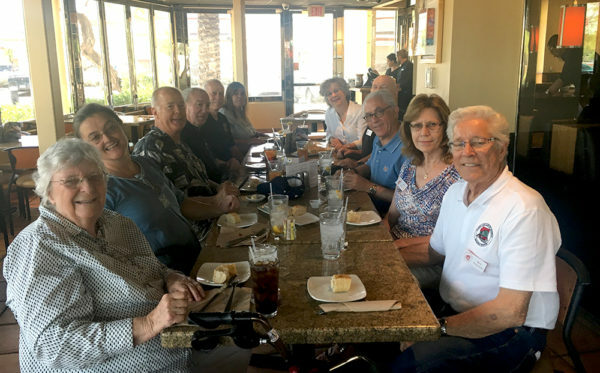 The Arizona Region of the Classic Car Club of America held its seasonal garage tour at the Dennis Wise Collection in Scottsdale. 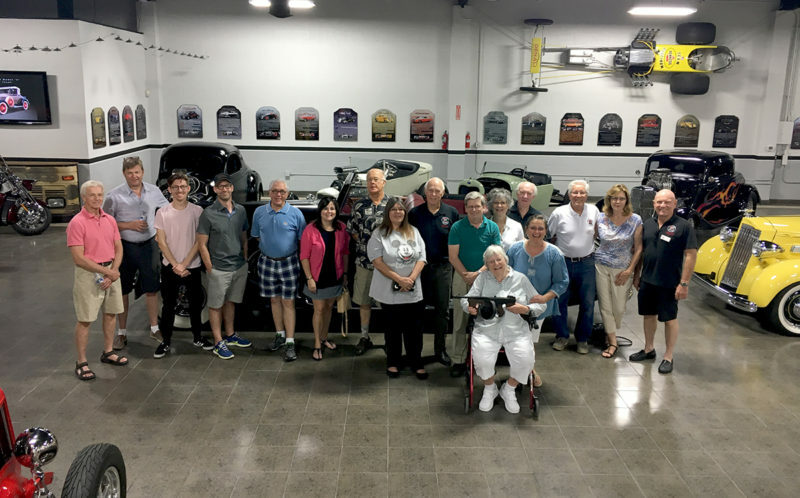 His Denali Motorsports facility houses many custom cars and hot rods, as well as a few classics. Seventeen members braved a warm day out and many drove their vintage cars. The spotless facility included an engine building area, shop, and “showroom”. Snacks and drinks were provided as we made our way among the cars. Thank you to John Nobile, the collection manager, for opening up the facility and making us feel at home. 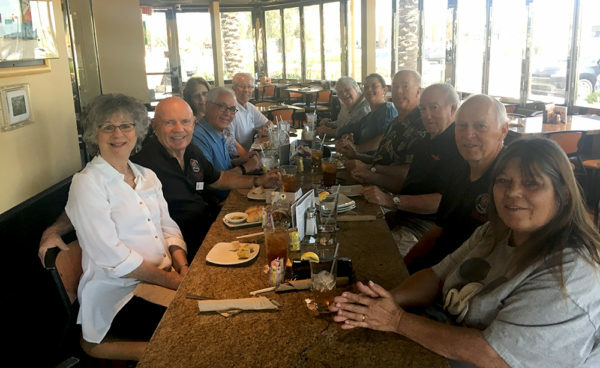 After a morning of cars, nothing beats a little lunch, and many of the attendees proceeded to California Pizza Kitchen for some nourishment and comradery.